ALCOHOL: The name itself has become taboo in some places, except in some high profile society parties. It is nothing but a chemical named ethyl alcohol or ethanol, arising naturally from carbohydrates when certain micro-organisms metabolize them in the absence of oxygen, the process being referred to as called fermentation. Unlike the wrong notion that most people have regarding the bad qualities of alcohol, which is correct to most extent, it has certain good qualities too. 1: Alcohol is a good stress reliever stress reliever for a great many people in our ever-on-the-go society. 2: Moderate alcohol consumption which include one or two drinks per day raises good cholesterol and blood protein levels, thus lowering the risk of coronary heart disease, in men over 45 and women over 55yrs of age. Actually excess of anything is bad. Equally excessive intake of alcohol is bad especially when it becomes an addiction. A limit has been set for everything, and so as for alcohol. Study says that for a person around 4-5 ounces of wine, 12 ounces of beer, 1-1/4 ounces of distilled liquor (80 proof whiskeys, vodka, scotch, or rum), 10 ounces of wine cooler are the moderate quantities which can be taken per day without producing any harmful effect. 1: Excess alcohol can increase your risk of liver disease, heart failure, stroke, high blood pressure, certain cancers, injury, violence, and death. 2: Alcohol affects the developing brain, making young people more vulnerable to alcohol-induced learning and memory impairments. 3: Alcohol causes euphoria, which depresses appetite, so that heavy drinkers tend to eat poorly and become malnourished. 4: Drinking too much alcohol piles on the calories, leading to obesity and a higher risk for diabetes. 5: It also accounts for Hyperglycemia i.e. Raise in blood glucose level, and also Hypoglycemia i.e. decrease in the blood glucose level (especially for people with diabetes), in the body. 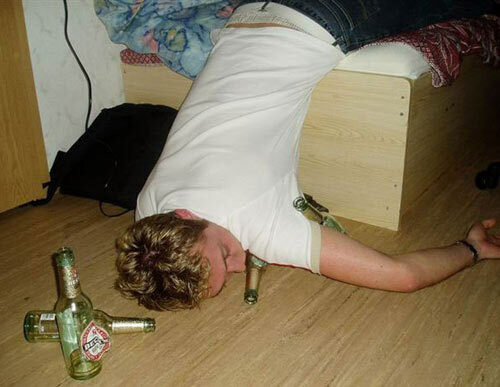 6: Heavy drinking causes a drop in testosterone levels in men, and causes testicular shrinkage and impotence. In females, menstrual cycles can be disrupted and fertility is affected. 7: Pregnant women are advised not to drink, as no amount of alcohol is known to be safe for fetal development and intake serves as a risk of causing Fetal Alcohol Syndrome which causes physical and behavioral abnormalities in the fetus. 8: Young people have a lower tolerance to alcohol but they also have the immaturity of having an increased tendency to risk-taking behavior which combines to create much higher risk of accidents, violence, and unsafe sexual behavior. When it comes to alcohol and health, less really is more to stay healthy and safe. S “Better be safe than sorry”. Alcohol does have good effects on the heart, but over the long term, it can easily wreck your liver, causing alcoholic liver cirrhosis, which in turn is a BIG risk factor for development of liver cancer. I agree, alcohol is fine in moderation, where people don’t overdo it. The problem is that many people, especially younger people, tend to do just that so that they can get that buzzed feeling from the alcohol. If people were more responsible with their alcohol consumption there wouldn’t be as much of a problem! Alcohol can be nice in small amounts and when not abused. However like any substance, there will always be people who have a tendency to abuse it. So I agree with you on that it is good in moderation. I think it also depends on the person drinking it, as some are more likely to let it get out of control than others.. I would like to say you have mentioned good point on what are the effects of taking alcohol in positive and negative side in a abalanced way. Nice and interesting post, easy to comprehend and helpful… But my question is, when you list the GOOD EFFECTS OF ALCOHOL does that means you are also taking it has you have said or you just list it for those who like drinking it, because all i have heard in my life is that alcohol is totally bad for someone because of the excess sugar but not withstanding with all what you have said, i agree with you. thanks one again.